That's it! Joran isn't anatomically correct. Did girls laugh and that's why he became enraged? I must say thank you to the Scared Monkeys for keeping Natalie's page active. It has been such a long, long time but we are all still hopeful that she will be brought home. The Human Rights Committee of the Inter-American Court in Washington do before the end of the month decision in the case of Joran van der Sloot. That says lawyer Aldo Cotrina that the matter before the court has presented, at Reuters News. Cotrina wants the court Peru urges the criminal case of Van der Sloot about to do. It also demands that the Dutchman damages of thirteen million get from Chile. According Cotrina the civil rights of Van der Sloot infringed upon his extradition from Chile to Peru in June 2010. He fled to Chile after he had brought. Were killed Stephany Flores in Lima. The extradition has been Cotrina according to an administrative decision and never brought before a judge. During the extradition Van der Sloot was without a lawyer and he has been mentally and emotionally tough to endure, says Cotrina. "I am one hundred percent sure that we win this and that a new trial is coming," says the lawyer. In Peru, Van der Sloot waits meanwhile still on the decision of the Supreme Court about lowering his sentence, as his lawyer in this case, Máximo Altez, has asked. The court should take within thirty days after the start of the case on May 29 a decision. What about the life of Natalee and Stephany? Joran van der Sloot married in August with his Peruvian fiance. All documents necessary for a marriage within the prison in Peru and has given him permission to marry. Joran girlfriend Leidy confirms that marriage is coming up. "We love each other more every day," said the Peruvian who met Joran in prison two years ago. Every week she visits her future husband in his cell. "He has changed a lot. Joran is my life." Joran thinks he should get less punishment because he has shown what he did repent. He wants to build a future with his girlfriend and start a family. Less punishment? More is not enough for what he did. He took Natalee's and Stephany's future away forever. He deserves no happiness in his life or future. I don't think Joran should get less punishment. No do-overs! UNTIL NATALEE COMES HOME HE AIN'T NOTHING BUT DIRT. I won't mince words ........................ the Flores family needs to have him taken out. Joran will NEVER tell us where Natalee is at. I would not be opposed to having Valentin "visited" with some "convincing" questioners as well................. He knows plenty and he is here in the USA. ype we need a texas-style take down imo. Oh, man, I wanted him to come visit AlaBama first - before y'all do that! Beth Holloway, mother of Natalee Holloway, spoke with reporters before her presentation at the Panama City Beach Chamber of Commerce Women's Symposium Friday afternoon. 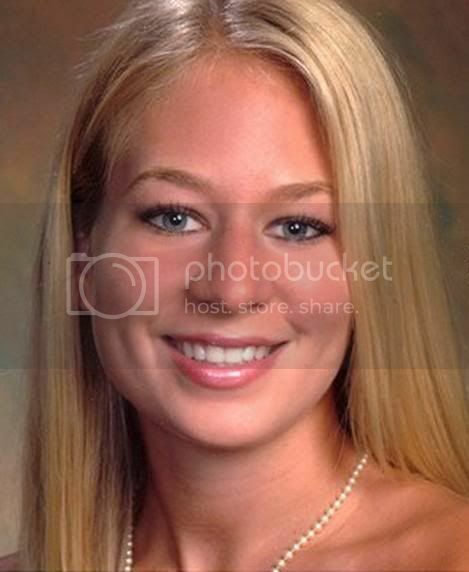 Natalee Holloway went missing in May of 2005 while on a high school senior trip in Aruba. Natalee's body was never recovered and she was later declared deceased. In her previous career Beth Holloway was a speech pathologist. She says she now uses those skills as an educator to help in her effort to spread the word about personal travel safety in light of her daughter's disappearance. Holloway took the time to tell News13 why she thinks her presentation is easy for parents to connect to. "Every parent could see themselves being me and they can envision that and it's so relatable because it can happen to anyone," said Holloway. "So, I think they can instantly relate to it because they can see Natalee as their child and they can see me as themselves." Happy Birthday, Beth! Hoping she has a wonderful day! "I will always be traveling through this journey, it's not something I will overcome," said Holloway. "But, it was something, it is something, that I'm coming through continuously everyday. "Family, friends, and faith have been the substance in sustaining me." Beth will celebrate her birthday tomorrow and will be leaving after her presentation to celebrate with family. Beth Holloway answers questions Friday at a press conference during the Women’s Work-Life Symposium sponsored by the Panama City Beach Chamber of Commerce at Florida State University Panama City. Published: Friday, June 14, 2013 at 20:49 PM. PANAMA CITY — Beth Holloway’s life changed forever with one phone call. Natalee’s case has since been closed, and Holloway said she has found solace in helping others. Holloway’s message of hope, faith and personal safety has been presented at high schools, colleges, churches and conventions across the U.S.
She said the goal of the chamber’s Women’s Symposium, to help women find balance, was one that complemented her message. Thanks for the information, Texasmom!